Advances in molecular genetics have led to the increasing availability of genetic testing for a variety of inherited disorders. While this new knowledge presents many obvious health benefits to prospective individuals and their families it also raises complex ethical and moral dilemmas for families as well as genetic professionals. 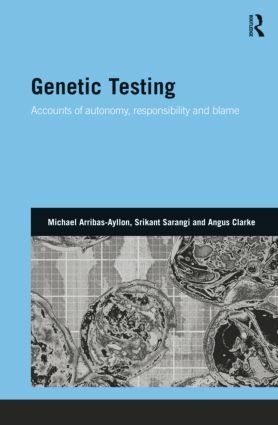 This book explores the ways in which genetic testing generates not only probabilities of potential futures, but also enjoys new forms of social, individual and professional responsibility. Concerns about confidentiality and informed consent involving children, the assessment of competence and maturity, the ability to engage in shared decision-making through acts of disclosure and choice, are just some of the issues that are examined in detail.